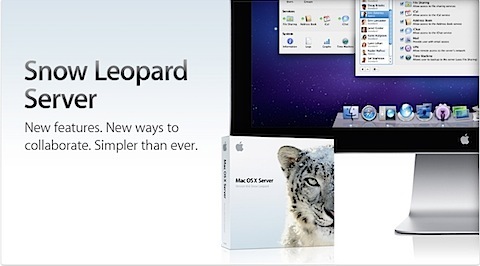 Snow Leopard Server 버전을 테스트 해볼 수 있는 좋은 기회가 있어서 소개해 드리고자 합니다. 오늘 출근을 했더니 배달이 되어서 왔더군요. 처음 신청할때만 해도 Push Email, iCal, Address Book 을 지원한다고 해서 관심이 많았는데 지금은 MobileMe 를 가입한 뒤라 사용할 일이 있을지는 모르겠습니다. 신청은 이곳에서 가능하며, 간단하게 원하는 양식의 내용만 넣어주면 됩니다. This Mac OS X Server evaluation offer is valid only in the United States. This offer is limited to corporations, small businesses, nonprofit organizations, government agencies, and educational institutions located in the United States. Resellers do not qualify and are not eligible to participate in this offer. Students do not qualify and are not eligible to participate in this offer. Persons under the age of 13 and all other persons under the age of majority are not eligible and do not qualify for this offer. 미국내 주소만 가능하며, 기업, 스몰 비지니스, 비영리기관, 정부기관, 미국내 교육기관에만 해당됩니다. 리셀러와 학생에게는 해당되지 않습니다. 신청은 13에 이상만 할 수 있습니다. 라고 되어 있습니다.